Sharing a PDF file with somebody who does not have a PDF-reading application can be frustrating. It is equally frustrating for the person you are sharing the file with. Of course there are various ways around this problem that involve conversion of the file format; but these usually disturb the document’s layout and deform it. 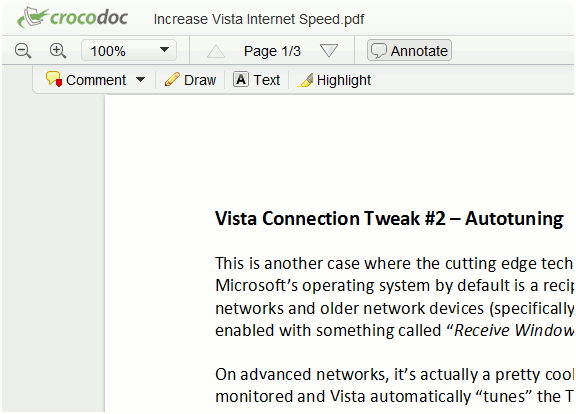 A much better way to share PDF files is CrocoDoc. 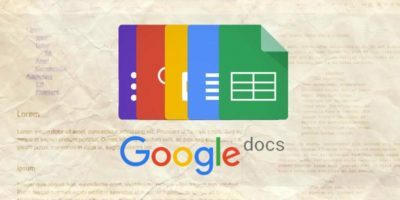 CrocoDoc is a free to use website that lets you view, annotate, and share PDFs online without requiring the installation of any software on your computer. The site converts the PDF file into a document that is readable in its HTML5 interface. 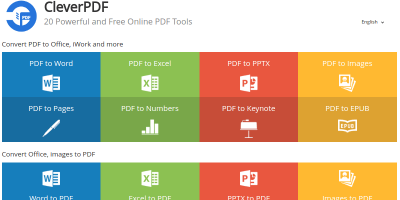 Additionally the site can be used to collaborate on PDF documents with other computer users. 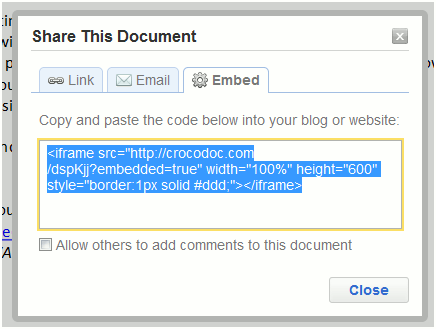 To begin using the site’s tools, just click on the blue “Upload Document” button on the homepage. Next you will point the site to the PDF file stored on your computer. As the document uploads, you will see the following image indicating the progress of the upload. With the document uploaded, the site’s HTML5 reader will appear and make the PDF available for reading. 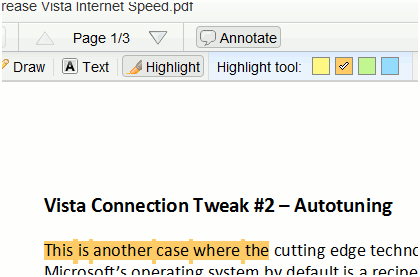 The first most useful annotation tool is highlighting. You can select from 4 available colors to highlight portions of the PDF file. Secondly you can type in your own text on the document. You can change the font size and color of this typed text. You can even make drawings on the document using the provided pencil tool and its different colors. 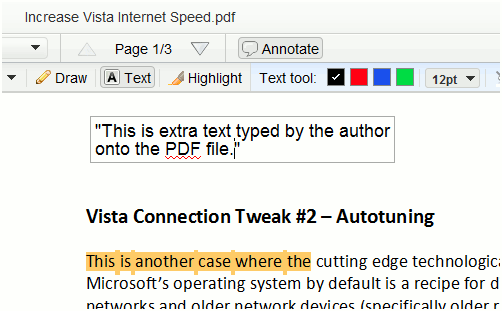 Commenting is another annotation tool that can be used to leave notes on PDFs in CrocoDoc. The comments appear to the right of the document. 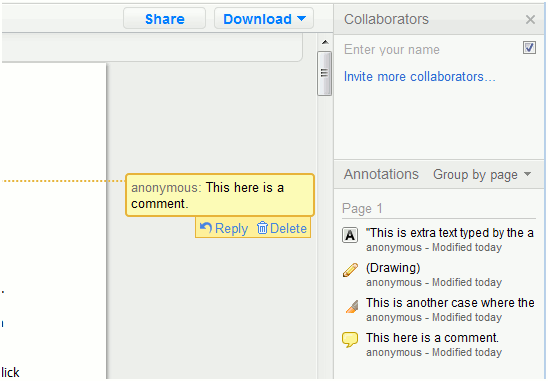 The right-most pane shows all of your annotations along with a list of people who are collaborating on that document. 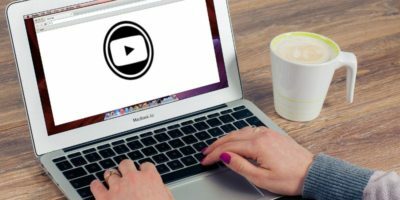 As you can see, the site provides a comprehensive set of annotation tools all of which are used from within the web browser. Furthermore, you can directly send the link through email or obtain the document’s embeddable code. This code can be used to display the document on your website or blog. Visitors to the URL have the option to download the document in its original form or annotated form. Both downloads are provided in the PDF format. 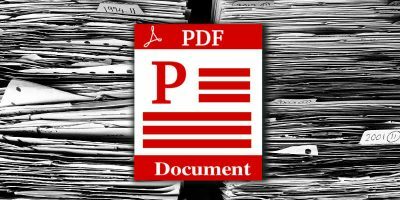 When somebody visits the URL of the PDF document, they can edit the document if they wish. 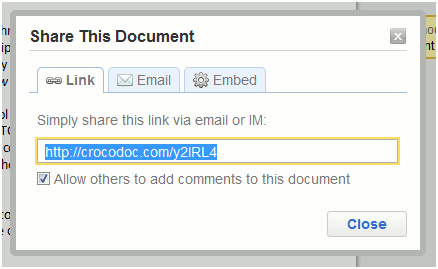 Hence by sharing the URL with your friends you can work with them in jointly annotating the uploaded the PDF file. 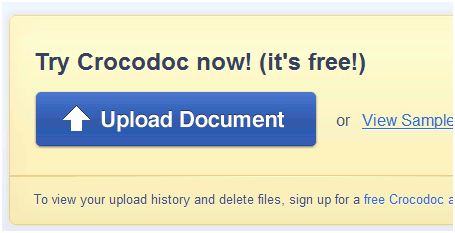 CrocoDoc provides its users with a very valuable service by excellently handling PDF files. 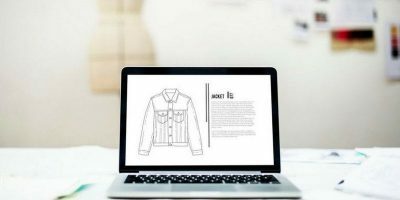 Its ability to make PDF files readable in an online HTML5 interface and then make the annotated HTML5 document available as a PDF download will surely be appreciated by all internet users. 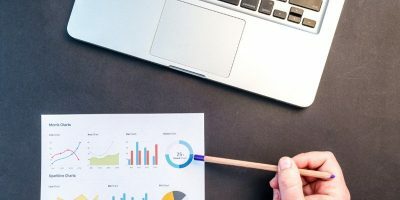 Add this website to your bookmarks. You will need it.